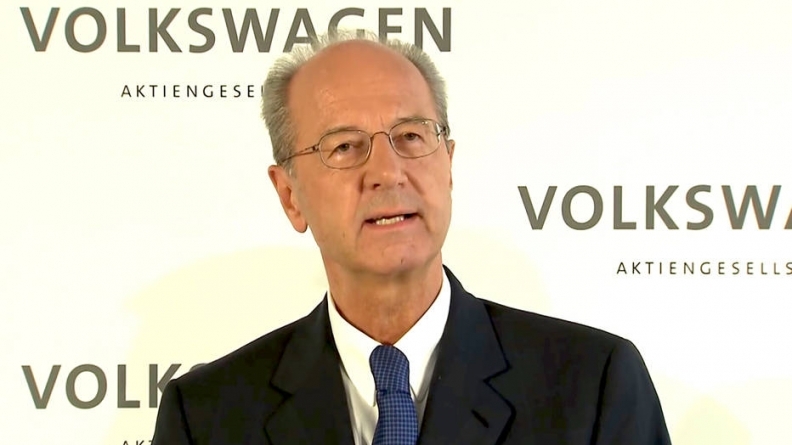 "There will yet be a whole string of [personnel] consequences," VW Group Chairman Poetsch said. GENEVA -- Volkswagen Group expects to broaden disciplinary action beyond the two dozen employees the carmaker has already suspended as part of its emissions-cheating scandal, Chairman Hans Dieter Poetsch said. "It is to be expected that there will yet be a whole string of [personnel] consequences," Poetsch told reporters on Monday, ahead of the start of the auto show here. VW has refrained from taking action against employees at the request of U.S. authorities in order to not jeopardize the success of investigations, Poetsch said. VW's initial claim that the rigging of emissions tests for as many as 11 million diesel cars was restricted to a small number of rogue engineers was called into question when the U.S. Department of Justice indicted seven VW employees for their wrongdoing and stated some 40 staff were involved in destroying documents around the time when the scandal came to light in September 2015. VW Group's Audi premium-car unit last month fired four engineers for their role in the cheating. Other VW employees have been suspended or have left the company in the wake of the investigations.